What Is the Difference Between Polyclonal and Monoclonal Antibodies? Antibodies, also known as immunoglobulins, are secreted by B cells (plasma cells) to neutralize antigens such as bacteria and viruses. The classical representation of an antibody is a Y-shaped molecule composed of four polypeptides-two heavy chains and two light chains. Each tip of the "Y" contains a paratope (a structure analogous to a lock) that is specific for one particular epitope (similarly analogous to a key) on an antigen, allowing these two structures to bind together with precision. The ability of binding to an antigen has led to their ubiquitous use in a variety of life science and medical science. These antibodies can be classified into two primary types (monoclonal and polyclonal) by the means in which they are created from lymphocytes. Each of them has important role in the immune system, diagnostic exams, and treatments. This overview will describe the synthesis of monoclonal and polyclonal antibodies, their differentiating properties, and their role in clinical diagnostics and therapeutics. Polyclonal Antibodies vs. Monoclonal Antibodies: Production. Polyclonal antibodies (pAbs) are mixture of heterogeneous which are usually produced by different B cell clones in the body. They can recognize and bind to many different epitopes of a single antigen. Polyclonal antibodies are produced by injecting an immunogen into an animal. 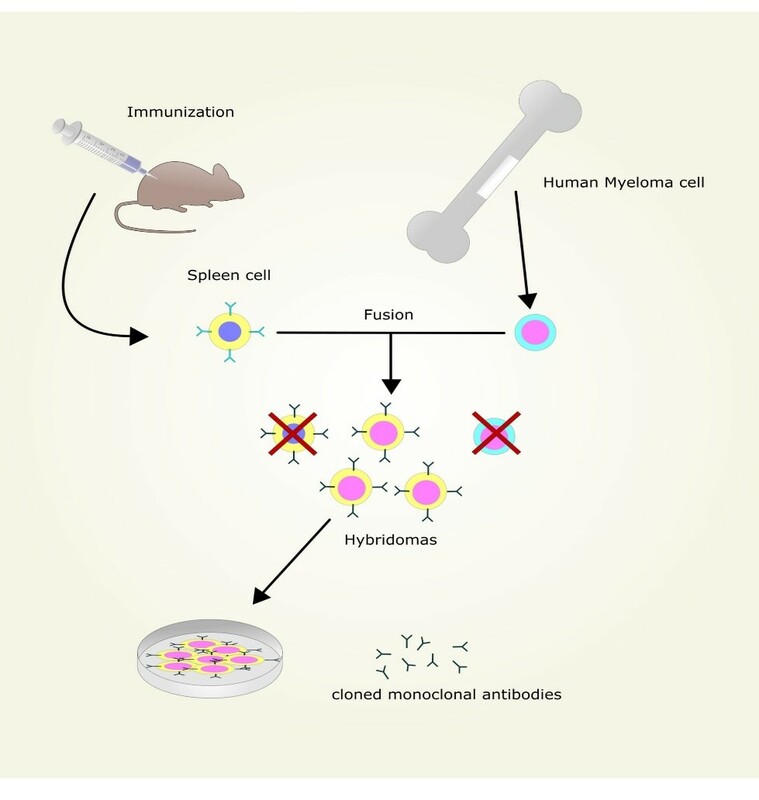 After being injected with a specific antigen to elicit a primary immune response, the animal is given a secondary even tertiary immunization to produce higher titers of antibodies against the particular antigen. After immunization, polyclonal antibodies can be obtained straight from the serum (blood which has had clotting proteins and red blood cells removed) or purified to obtain a solution which is free from other serum proteins. Monoclonal antibodies (mAbs) are generated by identical B cells which are clones from a single parent cell. This means that the monoclonal antibodies have monovalent affinity and only recognize the same epitope of an antigen. Unlike polyclonal antibodies, which are produced in live animals, monoclonal antibodies are produced ex vivo using tissue-culture techniques. The process begins with an injection of the desired antigen into an animal, often a mouse, multiple times. Once the animal develops an immune response, the B-lymphocytes are isolated from the animal’s spleen and fused with a myeloma cell line, creating immortalized B cell-myeloma hybridomas. The hybridomas, which are able to grow continuously in culture while producing antibodies, are then screened for desired mAb. Both polyclonal and monoclonal antibodies have their own advantages and disadvantages which make them useful for different applications. Short production time and low cost. Highly stable and tolerant of pH or buffer changes. High affinity. Since the antibodies bind to more than one epitope, they can help amplify the signal from target protein even with low expression level. This makes these antibodies ideal for immunoprecipitation and chromatin immunoprecipitation. Tolerant of minor changes of antigen. Polyclonal antibodies are less sensitive to antigen changes (slight denaturation, polymorphism, heterogeneity of glycosylation) than monoclonal antibodies. Prone to batch to batch variability. Multiple epitopes make it important to check immunogen sequence for any cross-reactivity. Developing a monoclonal takes time and requires high technical skills. They can produce large amounts of specific antibodies but may be too specific to detect in across a range of species. Vulnerable to the change of epitope. Even a slight change in conformation may lead to dramatically reduced binding capacity. Which is better, a monoclonal or a polyclonal antibody? It depends on the different characteristics of monoclonal and polyclonal antibodies. Polyclonal antibodies are ideal reagents in diagnostic assays and hemagglutination reactions due to their ability to recognize different epitopes of a target molecule. The best use of polyclonal antibodies is to detect unknown antigens. 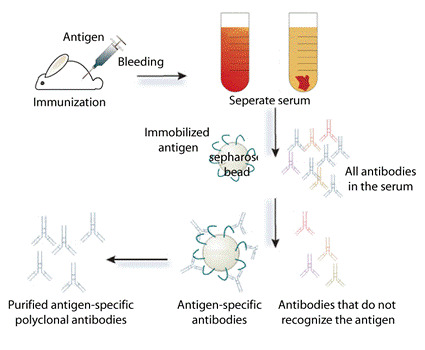 Polyclonal antibodies are used as a secondary antibody in immunoassays (e.g. ELISA, western blotting, microarray assays, immunohistochemistry, flow cytometry). Their role is to bind to different epitopes and amplify the signal, leading to better detection. Monoclonal antibodies, in contrast, provide an unlimited source of antibody that is homogeneous and, once characterized, predictable in its behavior. 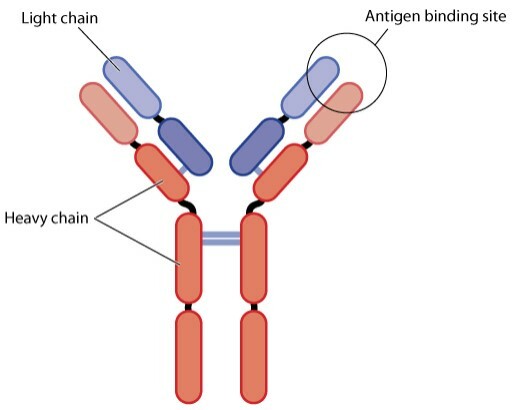 Monoclonal antibodies are often used as primary antibodies in immunoassays due to their ability of specifically binding to a single epitope of an antigen. Through the use of clinical application, some of the disadvantages of using each type of antibody has been nullified. Companies can purify polyclonal antibodies to limit the degree of cross-reactivity in their assays. The combination of monoclonal antibodies leads to the capture of multiple epitopes and expanding its’ specificity. Where monoclonal antibodies have stood out in a clinical setting is their ability to find and target specific molecules. Monoclonal antibodies’ Fc regions are initially tagged with markers and are used to discover cellular surface components. This research promotes the monoclonal antibodies used as medicine. OKT3 (also called Muromonab) was first approved by FDA in 1985 as a specific transplant rejection drug for organ transplant patients preventing graft disease. Since then, forty-one other antibodies have been approved by FDA to fight cancers, rheumatoid arthritis, and asthma and other illnesses. Monoclonal antibodies are also being used as vectors to bring drug to the target cell (e.g. a cancerous cell). When the Antibody-drug conjugates meet the target cell, the drug is released and exerts its effect. Polyclonal antibodies, in contrast, are not as adept as monoclonal antibodies at treating cancer cells due to their lack of specificity and a high degree of cross reactivity. Research is showing that polyclonal antibody therapy can be useful in the treatment of some diseases and as an immunosuppressant for transplant patients.